National Nurses United is the nation’s premiere voice for direct care registered nurses and the largest union and professional association of RNs in U.S. history. Representing 185,000 RNs in all 50 states, NNU was founded in December, 2009 uniting three of the of the most active, progressive nurses organizations in the U.S.— the California Nurses Association/National Nurses Organizing Committee, United American Nurses, and Massachusetts Nurses Association. Today, NNU is one of the fastest growing labor organizations in the U.S., and has gained national and international renown for its social, patient, and economic advocacy for nurse and patient reforms, transforming the U.S. healthcare system, and revitalizing the U.S. economy. 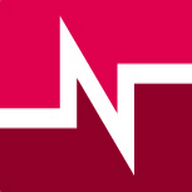 Since its founding, NNU has organized more than 30 hospitals and 13,000 RNs in 10 states, including some states that have long been viewed as challenging for unions, such as Texas and Florida, and won landmark first contract agreements that have established improved patient care conditions and elevated workplace and economic standards for RNs.